Black Mirror: Did Neoliberal Epidemiology Impose Its Image Upon Ebola’s Epicenter? If deadly infections strike the fear of God in us–a trope to which we will return–it is in part because they operate at levels of organization beyond our daily experience. Pathogens are typically too tiny to see and the epidemic waves by which they arrive too large. The physics of disease wave and particle are largely invisible to our routine social practices. Even our present-day bellwethers, animated by the very best of modern science, are a house divided. Hospitals are eating away at their own proprioception, increasingly confounding the information the market processes–quarterly margins and medical bills paid–with epidemiological inference (Mirowski 2009, 2015; Waitzkin 2018). Historically, a disease’s shadow could be observed upon many another of a polity’s cave walls. To some, birds of omen signaled a spike in dead bodies a village over (Cohn 2008; Marr and Calisher 2003). To others, the sick suffered animistic possession, infected by a life cycle undergoing its own birth by contraction, reproduction by transmission, and death by immunal clearance or in its host’s own demise (Freed and Freed 1990; Hughes 1951; Wallace 2004, 2016a). With infectious disease the prime source of mortality through most of human history, pathogens appear a major impetus for the emergence of the modern state and its institutions, the latter as much, as agroecologist Jahi Chappell (2018) puts it, the stuff of sci-fi fantasy for our prehistoric ancestors as smart phones or landing a robot on an asteroid (see also Wolfe et al. 2007). The embryonic population health of Foucaultian migration control, quarantines, and outbreak pantries also modernized expedient discrimination: Jews at the stake yesterday, the four H’s–heroin addicts, homosexuals, hemophiliacs, and Haitians–upon HIV/AIDS’s late 20th century pandemicity (Grmek 1990; Spinney 2017). The reverse reification from things to people acts both a wistful anthropomorphism making disease a party with which we might negotiate detente and a bludgeon upon deviations of a usefully arbitrary norm. R0 = βΛ / μ(μ+γ) . An R0 over 1–with some combination of high transmission and host birth rates and low host death and recovery rates–and the infection spreads. Below 1, with not enough susceptible “food” to feast on to keep transmission apace, and the outbreak burns out. Such susceptible-infected-recovered models can capture something of the broader dynamics churning beyond our senses, including, at the population level, the mutually deterministic impositions between those infected and those not. The magic of SIR can be found in more than in irradiating disease’s spooky action at a distance. Evolutionary epidemiologists take deep personal satisfaction in finding contradictory expectations and perverse outcomes across these capacious parameter spaces. virulence v, the damage a pathogen causes its hosts as an evolved characteristic, may depend on more than just the rate of infection β, as much of the modeling literature presumes. Just the size of the population N is enough to drive the evolution of greater virulence, a damning conclusion for any agribusiness monoculture processing millions of poultry every six weeks year-round (Atkins et al. 2010; Lipsitch and Nowak 1995; Wallace 2016b). With all that food for bird flu and other pathogens, the deadliest strains beat out less virulent competitors at little evolutionary cost whatever the company margins dedicated to biosecurity protocols. Other models show upon an outbreak on such a farm, increasing the culling rate at which infected and threatened poultry are removed decreases the prevalent level of host immune resistance, leading to greater susceptibility to future outbreaks (Shim and Galvani 2009). The journals are flooded with one variation on the basic theme after another, all of them equally pretentious and unilluminating. We even have the ridiculous sight of anthropologists wandering around East Africa with their differential equations hoping to estimate transmission coefficients between sub-groups in the midst of a region where whole villages are being abandoned, hoping to “calibrate” their still purely temporal equations. The epitome, the ultimate folly of this approach came in a paper modeling the diffusion of the HIV in the whole of New York City horizon. Geographically, of course, New York was homogenized and compressed to the head of a pin, simply because there was no need to consider any difference between the burnt-out Bronx and the trim lawn suburbs, or people in the packed tenement houses of a Harlem slum and the residents of apartments overlooking Central Park. After all, people are people, and since we are only playing computer games anyway, we can lump them together. To be sure, SIR and its cousins among the cellular automata can be spatialized. A “critical connectivity” for instance selects for virulent strains that can now invade isolated host populations in which only less deadly strains could previously survive the limited supply of susceptibles (Messinger and Ostling 2009). The geography, on the other hand, as Gould describes, with all the depraved expropriation found up and down many a landscape, uneven scars badly healed or open cancers oozing up from soils real and proverbial, is omitted as if a matter of principle. Other approaches suffer related deficits. The preponderance of cost-benefit analyses of disease intervention is organized around an ethics of economism protecting state budgets and corporate margins first rather than the communities at which such interventions are purported to be aimed (Wallace et al. 2018). Almost no effort in that literature addresses the structural pillaging that produces the artificial scarcities these analyses ostensibly track. Our problems here, then, are more than mere matters of technical complication. There is a deeply social component to such eldritch derivations. One need be neither Ludwig Wittgenstein nor an ethnomathematician to reject philosopher Slavoj Žižek’s Lacanianism that sinthomes, the deeper jouis-sens of meaning at the heart of the materiality of the written word, qualitatively differ from mathemes, their mathematical analogs (see Ascher 2017; Powell and Frankenstein 1997; Wittgenstein 2014; Žižek 2012). For mathemes also carry libidinal investment and are also subjectivized not only along historical trajectories long and short but by deeply personal jouissance. That doesn’t spoil the mathematics. It just makes it part of the fabric of human experience. However useful projecting disease dynamics at the population level, the formalisms on which many such analyses are based are themselves just as entrained into the codified myopia of dominant epistemes as any other language. Technicists in public health, as quants on Wall Street, can be maneuvered grant by grant, policy by policy, into deriving kleptocratic presuppositions after the fact (Bettez 2013). Understanding disease, then, as cultural anthropologist Paul Richards (2016) proposes in his recent book on the Ebola outbreak in West Africa, can be projected as if in a mirror. What’s investigated is expected to mimic its investigators. The Makona variant of Ebola emerged December 2013 outside the village of Meliandou in the Guinea Forest Region. The virus would infect as many as 35,000 people, killing 11,000, across Guinea, Liberia, and Sierra Leone. Unlike previous outbreaks strafing the odd forest village in Central and East Africa, this one–by a virus that at outbreak’s start appeared genetically little different from its predecessors, its case fatality rate, incubation period, and serial interval archetypical–left bodies in the streets of capital cities a plane ride away from the rest of the world (WHO Ebola Response Team 2014). At 150 pages before endnotes and references, Richards’s book is a concise recitation of the episode. Clinical course, transmission routes, geography, and interventions are dispatched in short order. The book, however, is no mere summary. Richards aims to integrate high concepts and grounded protocol in an effort to apply medical anthropology in what for the discipline borders on real time. Even readers long ensconced in Ebola particulars will find themselves exposed to many a newly harnessed idea, however long in the tooth the latter, some as old as the origins of modern anthropology. Think medical thriller, that dross of airport bookstores, gratefully plagued by rich intellectual retcon. To make a short story shorter, Richards argues the response to the Ebola outbreak was botched because epidemiologists and international public health officials attempted to impose their model of the outbreak onto interventions aimed at blocking transmission. Whatever their ingenious intuitions, the marvels of medical and mathematical inference, instantiated by the system of simultaneous equations with which we began our review, can rationalize interventions with exactly the contrary impact promised. In Ebola’s case, infection spreads when friends and family care for living patients and bury their still infectious dead. So patients must be taken care of by trained professionals and village burials brought to a halt in favor of body bags thrown in a common grave. The modeling, then, makes the societies epidemiologists parachute into in the latter’s own image. Another in a long history of parlaying colonial medicine into African ontology, with the not unprecedented effect of exacerbating an outbreak (Bagnato 2017; Benton 2015; Vaughan 1991). The World Health Organization model of intervention, Richards writes, boxes up an Ebola outbreak in a hexagon: virus identification, extraction of patients, quarantines, safe nursing, contact tracing, and safe burial. Health ministries bled by structural adjustment programs that helped bring about the epidemic in the first place, a context Richards largely misses, must make way for an international response increasingly hindered by a reliance upon philanthropists. Private contributions supply 80% of WHO’s budget, moving the organization’s priorities from global health to monetizable illnesses (Fortner and Park 2017). Polio in place of measles, for instance. The resulting late start on the Ebola outbreak, the public health tanker slow to turn from its polar star over the Gates Foundation, meant mobile labs, treatment units, and medical personnel at the heart of operationalizing intervention would begin only after Ebola had breached a critical geographic threshold (Wallace 2012). The virus spreads over many multiple populations and control turns geometrically more difficult. An Ebola of a lesser virulence, less likely to break its own chain of transmission by virtue of a greedy replication that kills its host before infecting the next, would probably have expanded out of West Africa through that hole in the structural fence. Despite patting their own backs upon the outbreak’s contraction, both the medical approach and the people’s science Richards champions were very lucky the Makona strain’s life history undercut its own still spectacular success (Dudas et al. 2017). Richards shines in identifying where medicalizing intervention–taking advantage of what ethnographer Johanna Crane (2013) called invaluable inequalities–short-circuits an effective response beyond the obvious practical complications in presuming Africa just a Europe to the South. Epidemiologists, for one, use fear as an ideational weapon. Villager ignorance driving the outbreak, a presumption held across the media-academic continuum, is to be batted aside by the deliberative approach of manuals and workshops, an ethos of education from which its champions personally benefited most their lives. Scientists, acting as Beauvoisite warlords, actualize themselves in their research subjects: “you must listen to us who produce answers and you need to choose to act as the extensions of our premises or else risk your village.” The epidemiology here, following Žižek (2017), aims at a Lacanian symbolic injunction scientized into a hypnotic force as if by its mere enunciation. If ideas matter, then some here are to be treated more equal than others. The social sciences, sources of an alternate or more appropriately concomitant paradigm of intervention, are left out of oft-militarized command centers as part of an inconvenient political opposition historically tasked with documenting the damage of expropriation at the heart of regional governance. The models of culture that powered the initial failures in Ebola intervention were no accident, however, and strain to be recapitulated by dint of expedient necessity. Not a bug, but a feature. Under the Liberian beach, the colonial pavement. The WHO’s assumption education is the crux of the matter, Richards writes, reproduces the core conflict in anthropology whether belief causes action or the other way around. What began with Max Weber’s notion capitalism emerged out of its Calvinistic context and Richard Tawney’s counter-contention early capitalism selected for a particular set of religious beliefs evolved into an ongoing cage match between Weberian idealism, Marxist historical materialism, and Durkheimian demographic materialism. To which paradigm WHO adheres, Richards asserts, will affect an intervention’s justification and the public health campaigns that follow. Richards, a Durkheimian, paints the Hewletts Barry and Bonnie, who famously studied Ebola in East Africa, as expert Weberians (Hewlett and Hewlett 2008). The Hewletts, Richards recounts, claim the Acholi, like the mathematical epidemiologists with whom we began, carry about a series of mental templates from which they apply an appropriate epidemiological model and response. But from where and why such models arise, Richards points out, is unaccounted for. Without an answer, no recommendation as to how to help the indigenous arrive upon novel responses to novel diseases can be offered. The Durkeimian model, on the other hand, views ritual as no boilerplate, Richards continues. It is conditionally generative, triggering the commitment and adaptive group action needed to beat back an outbreak. Sacred symbols may be memory aids but must be first invested with group energy in the course of action, including as Mauss’s techniques of the body are deployed. The choreography emerges from the dance itself, the model of bathing from the bath, and not the other way around. Where, then, can the kinds of performative approaches to behavioural change required to beat Ebola be rehearsed and perfected? One answer is that the capacity to effect change already exists in countries like Guinea, Sierra Leone and Liberia, through the performative skills inculcated in rural sodalities such as Poro and Sande. These can be seen as “workshops” in which dance does the work of deliberation. Setting aside both the funding necessary to detect infection–medicine’s contribution to a people’s science–and Richards’s apparently unselfconscious reversal on this point later in the book–resources apparently do matter–Marxists have long connected the structural molar to the social molecular (Richards 2016: 88-89; Wark 2015). The living contributions of individual people and their groups matter. No material action of human beings upon nature, by which I mean no action which is intentional and pursued of their own volition, can be executed without setting to work mental realities, representations, principles of thought which can under no circumstances be simply reduced to reflections in thought of material relations originating outside it, prior to and independently of it. Moreover, these mental realities are not all of one and the same kind. They include, alongside representations of nature and humanity itself, representations of the aims, means, stages and anticipated results of human activities on nature and in society–representations which simultaneously organize a sequence of actions and legitimize the location and status of their agents in society. In short, there is a mental component at the core of our material relations with nature. how could it safeguard itself from naturalism, biologism, sensuous empiricism, from a mechanical materialism or false transcendentalism of the body every bit as disabling as the ideologies it seeks to oppose? How can the human body, itself in part a product of history, be taken as history’s source? Does not the body in such an enterprise become simply another privileged anteriority, spuriously self-grounding? To complete his corporeal turn and establish the foundation for a materialist conception of history, Marx considered more thoroughly the kinds of activity indulged in by the sensually acting human subject with its peculiarly human corporeal organization. Focusing on the entire array of human corporeal capacities, he did not limit the scope of human activity to the realm of philosophy and theology. He reflected more broadly on how human beings, in a wide range of socio-culturally specific ways act in, and on, thereby transforming, the world; that is, to borrow from Nelson Goodman, he reflected on human “ways of world-making”. Homo sapiens is outfitted with a unique bodily tool kit; but unlike all others, human corporeal organization houses an expansive set of corporeal capacities whose objectifications transform the world in multitudes of culturally specific ways. To begin from human agency is to dismantle the distinction between subjects and objects, since practice is a material objective affair, yet one inscribed with spirit (motives, values, purposes, interpretations and so on). It is also to relax the tension between Nature and history, given that the body belongs to both spheres simultaneously. Marx points up its ambivalent status when he writes of both material and sexual production as being doubled in this respect. “The production of life,” he writes, “both of one’s own in labour and of fresh life in procreation … appears as a double relationship.” Humanity, he observes, has “an historical nature and a natural history”. If he refuses to collapse culture into Nature, he is aware that to collapse Nature into culture is quite a reductionist a move. If the Owenite halls of science are an early marker, Marxists have long championed the materialism behind modern science, often avant la lettre given bourgeois reluctance (Garnett 1972; Wallace 2009, 2013). At the same time, Marxists projected public health, its methods included, as a science for and by the people, beyond proximate causes alone and up into the thicket of social and environmental determinants driving population health (Muntaner and Wallace 2018). The Marx dismissal appears one of a series of Manichean shortcuts Richards takes. It reads as if, consciously or not, he deploys these to drive epistemological rivals off the road, an honored tradition in the all-too-social sciences. Before evolutionary biologist me gathered any sense of this particular circuit of drag racing, I was vivisected the Marxist subject in Lyle Fearnley’s (2013) brilliant Weberian dissertation for which I had agreed to be interviewed. No sweat whatever my objections upon a more recent reread, I learned a lot. And who are even we who unpack science as an historical object to step out of the story scot-free? Precisely what form does relevant information take? What social and political processes allow for relevance to be packaged and delivered through the appropriate channels? Faced with a crisis, anthropologists in the room were compelled to see Relevance as an actually existing thing to pursue–highly context specific, institutionally mediated, and important to everyone–but readily and easily defined by no one. To paraphrase Nick Seaver (2015)–and Marilyn Strathern (1995) before him–the nice thing about relevance is that everyone wants to embody it. In another such dichotomy, Richards raises medical humanitarian Paul Farmer’s flag that poverty isn’t rationale enough for doing nothing for the poor and their health, a notion to which one could hardly object that also misses the whole of Farmer’s oeuvre on the ways inequality and imperialism drive disease in the first place (see Farmer 1999, 2003). It is not an argument, as Richards presents it several times, for dismissing poverty as due cause. “Ebola is less a disease of poverty than a disease of ignorance”, Richards (2016: 7) writes along the lines of the ethos of education he dismisses in its WHO practitioners. Unfortunately, the correction as enacted in the field has itself been reappropriated by the kind of Clintonite grifting that stripped post-earthquake Haiti, among other epicenters of liberal disaster capitalism, in the name of the poor, and, by some accounts, sheepdogged even Farmer into its clutches (Herz 2013; Katz 2015). The book is sprinkled with but not spoiled by other passing fallacies of fact and argument. Richards struggles with the distinctions between pathogen spillover and propagation, and model predictions and projections. Ebola was not hitherto unknown in West Africa before the outbreak (Dudas and Rambaut 2014; Formenty et al. 1999; Gire et al. 2014; Schoepp et al. 2014). That the outbreak did indeed produce a media frenzy doesn’t mean Ebola wasn’t a protopandemic danger, a common category error in the biopolitics literature (Briggs and Nichter 2009; Caduff 2012; Wallace 2014). As if rituals are the only source of disease pattern. In fact, Ebola’s spread was much more spatially complex and socially structured at the regional level (Bausch and Schwarz 2014; Dudas et al. 2017; Olivero et al. 2017; Rulli 2017). But, relax, those results needn‘t refute the benefits of a people’s science of Ebola. What might a corrective look like? Can we find a way forward together? My colleagues and I, taking a first stab at re-introducing a lost approach, hypothesized the Makona strain arose as oil palm, to which Ebola-bearing fruit bats are attracted, underwent a classic case of creeping consolidation, enclosure, commoditization, and proletarianization in the Guinée forestière (Wallace et al. 2014). At one and the same time, this agroforest transition–disconnecting and reconnecting the very demographic and cultural webs out of which Richards declaims Ebola emerged–curtailed artisanal production and likely expanded the human–bat interface over which the virus crosses. Almudena Marí Saéz and colleagues proposed instead that the initial spillover occurred when children outside Meliandou, including the putative index case, caught and played with bats of an insectivore species–the Angolan free-tailed bat, Mops condylurus–previously documented an Ebola carrier (Saéz et al. 2015). Whatever the speciﬁc source, one of many in the region, shifts in agroeconomic context appear a primary causal factor. Previous studies show Mops also attracted to expanding cash crop production in West Africa, including sugar cane, cotton, and macadamia (Noer et al. 2012; Taylor et al. 2013; Stechert et al. 2014). Indeed, in contrast to bushmeat, burial practices, and speciﬁc host reservoirs of arguably undue attention, from its initial identiﬁcation in Sudan on, the Ebola genus appears repeatedly associated with shifts in land use related to nascent capitalization (Groseth et al. 2007; Jones 2011). Multiple emergent variants have been shown connected to area-speciﬁc cotton, mining, and logging (Baron et al 1983; Bertherat et al. 1999; Morvan et al. 2000; WHO/International Study Team 1978). The expropriation and epidemiology here are entwined. Much of public health intervention, by vaccine or sanitary practices, aims at lowering an outbreak below an infection’s Allee threshold, under which a population cannot reproduce enough to replace its dead (Hogerwerf et al. 2010). A pathogen, unable to ﬁnd enough susceptibles to sustain itself, as our SIR model suggests, can be maneuvered into burning out on its own. But in this case commoditizing the forest may have lowered the region’s ecosystemic threshold to such a point no emergency intervention–whatever biomedical or a people’s science–can drive the Ebola outbreak low enough to burn out on its own. Novel spillovers suddenly express larger forces of infection. On the other end of the epicurve, a mature outbreak continues to circulate, with the potential to intermittently rebound (Barbarossa et al. 2015; Dudas et al. 2017). In short, neoliberalism’s structural shifts are no mere background on which the emergency of Ebola takes place (Wallace and Wallace 2016). The shifts are the emergency as much as the virus itself. Changes in land use brought about by policy-driven transitions in ownership and production appear fundamental contributions to explaining Ebola’s area-speciﬁc emergence. Deforestation and intensive agriculture may strip out traditional agroforestry’s stochastic friction, which typically keeps the virus from lining up enough transmission. The forest’s complex webs of energy and information, including its mechanisms of disease control, are lost to the market sublime. We may have here, then, one explanation for West Africa’s unprecedented outbreak. Bitter ironies abound. We learn from Richards that Lord Leverhulme, whose Lever Brothers company I’ll add was folded into what became transnational power Unilever, produced the first bar of soap using palm oil from West Africa. That this export crop would later serve in the emergence of a disease for which West Africans would be blamed for a failure of cleanliness stings like soap in the eye. It’s a cruel dialectic the field of One Health and its popularizers routinely enact in the course of vitalizing declensionist narratives shitting on local cultural practices and rationalizing interventions into problems, Ebola included, of their money bags’ own making (Wallace 2016d; Wallace et al. 2015). There in the sleeping child’s grasp, “action, materiality and signification are one”, love sprouting through our fear of an orthogonal God, as much a force of nature as any mode of transmission. Rob Wallace is author of Big Farms Make Big Flu (Monthly Review Press, 2016), and co-author of Neoliberal Ebola (Springer, 2016) and the forthcoming Clear-Cutting Disease Control: Capital-Led Deforestation, Public Health Austerity, and Vector-Borne Infection (Springer, 2018). 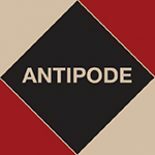 This entry was posted on 25 January 2018 by Antipode Editorial Office in Reviews and tagged agribusiness, belief, biosecurity, cash crop production, community engagement, deadly infections, disease, Durkheim, Ebola, epidemics, epidemiology, explanation in science, idealism, infection modelling, international aid, land use change, Marx, materialism, medical anthropology, medical geography, medical models, medicalization, medicine, neoliberal healthcare, participatory medicine, pathogens, people's science, philanthropy, population health, public health, relations of production, ritual, Weber, West Africa.